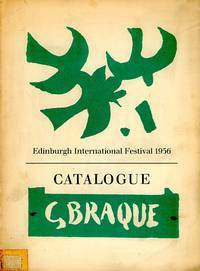 Edinburgh: The Royal Scottish Academy - Edinburgh International Festival, , 1956. Brossura (wrappers). Molto Buono (Very Good). An exhibition of paintings. Catalogue. Sponsored by the Edinburgh Festival Society and arranged by the Arts Council of Great Britain in association with the Royal Sottish Academy. Foreword by Robert Ponsonby; text by Douglas Cooper. With 87 illustrations, biographical chronology and bibliography. 8vo. pp. 52 - tavole. Molto Buono (Very Good). .